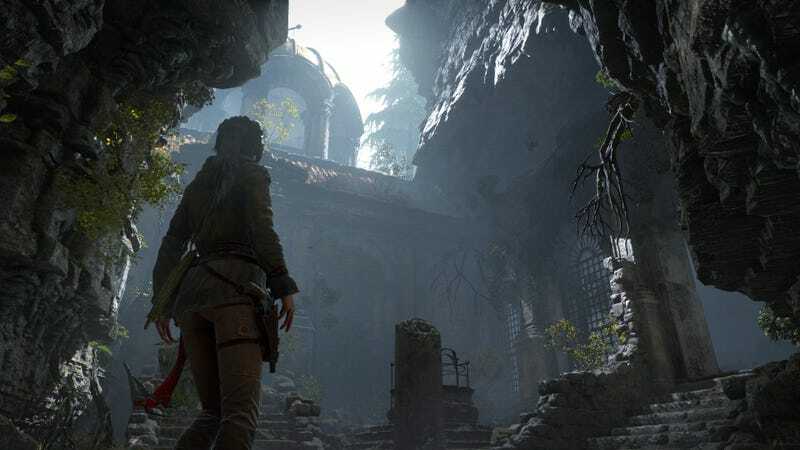 It’s been a while since I played Tomb Raider (2013) and although it felt very much like Uncharted in its gameplay, I appreciated the more serious, dramatic story it told. Anyway, the point is, I really liked the game and when the sequel was announced, I was quite ecstatic to play it. Alas, not having an 8th gen console or good enough PC meant that I couldn’t, until recently that is. So, having finally sat down and made my way through Lara’s latest adventure, I have a few things to say about the experience. Starting off, I just need to say that this game looks absolutely phenomenal, with the in-game graphics almost matching the quality of the pre-rendered cutscenes. The environments from the deserts to snowy mountains and the architecture of ancient temples were all sights to behold and every new area got slow 360 pan from me just to admire it all. As for the gameplay, it felt pretty much in line with what was already established in the previous title though with the addition of a crafting system this time around. Besides the regular upgrades to my arsenal, I never really went out of my way to utilize the system so the best I can say is that it’s functional. The platforming and shooting mechanics felt solid, and the set-pieces were wonderfully thrilling and intense. All in all I had a great time playing through it all. The story, similar to the its predecessor, takes up an overall serious tone. While the first game establishes Lara as the titular ‘Tomb Raider’, this one one as its title implies, is about her coming into her own and it was great seeing a more confident, experienced Lara. The mystery of the deathless prophet was an interesting experience as well though the game plays the whole thing in a fairly straightforward manner. I felt that the central villains were kinda weak though they serve their purpose well enough. Its a classic adventure story and that’s pretty much all it needed to be. Well, those are my thoughts on the whole thing, I immensely enjoyed the entire journey and am super excited for Shadow of the Tomb Raider. As before, I’m always happy to discuss more.